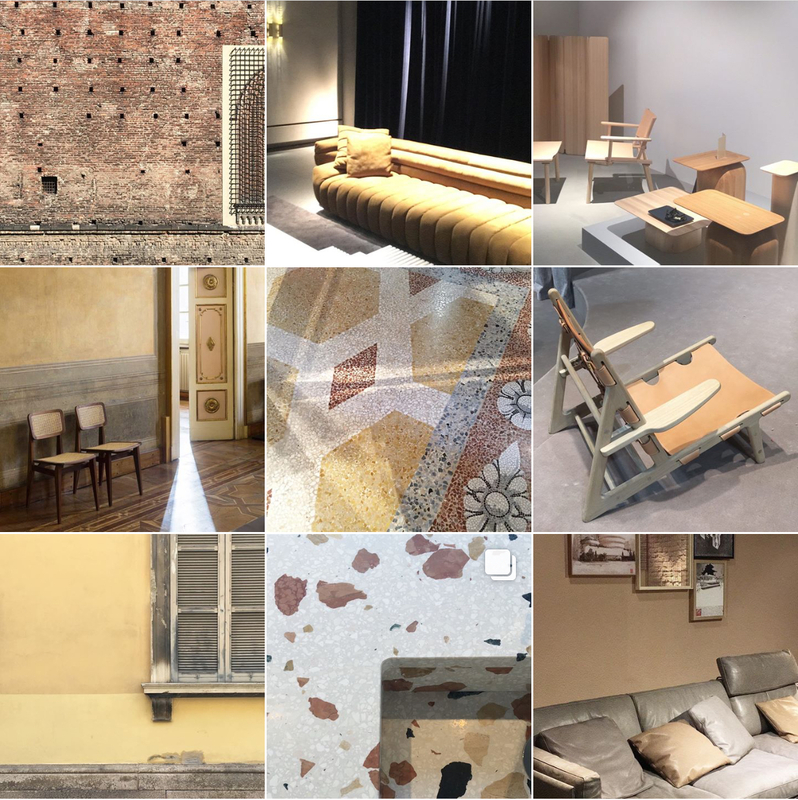 It’s difficult to explain the enormity of the takeover that is the annual International Furniture Fair in Milan: this is an entire city devoted to the discipline of design. 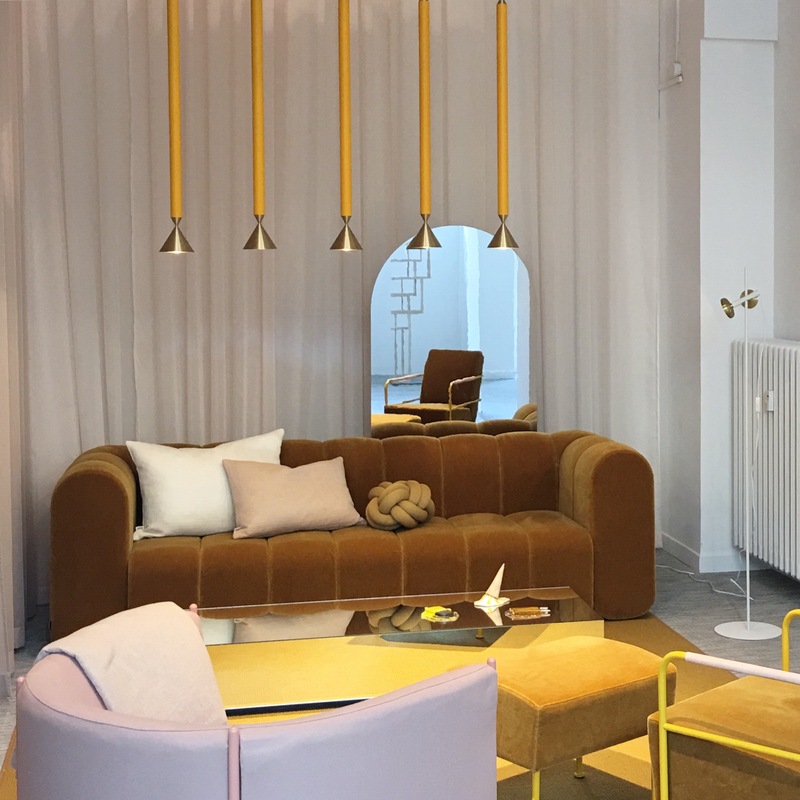 Every showroom displays its newest and latest pieces; fashion stores collaborate with star designers; hotel lobbies host exhibitions, and Palazzos to old Panettone factories proffer incredible backdrops for every single other brand who wishes to present its wares during this global showcase. As such, it’s an intense induction into absolutely anything that might just be ‘happening’ this coming Autumn/Winter and beyond. I spent five days there this year and rarely have I had such a good time trekking far and wide in pursuit of intrigue and beauty. However, having seen so much, I found it trickier than usual to process it all into something considered, meaningful and most importantly understandable; a precis of the trackable shifts of taste. It was complicated too because at first glance it seemed to be a fair of contradictions. And then, once I’d finally got a handle on it, there was so much more that I wanted to say! Thus, balancing what I saw this year, against previous years, and framed against my earlier predictions (Spring/Summer18 Trend Report), consider this as Part One of my report, a sort of simplified overview of the key trends to know and the colours to anticipate, with more detailed Trendbulletins to come on each individual theme. I also want to write about the impact of technology on design: in short, design in the age of Instagram, what does it mean? So that will be Part Two! This was a fair with, to my eye, a broad acceptance of the New Neutrals as the default go-to palette (it’s so calm, restful and redolent of relaxation, it can’t help but chime precisely with what we need right now, so was kind of a given) however, this being Milan, the fast-track to the future, the unexpected extra was a liberal hit of a somewhat offbeat mustard. Whether used as a backdrop colour, for accessories, or for the brave as upholstery, this dirty yellow hue was everywhere. 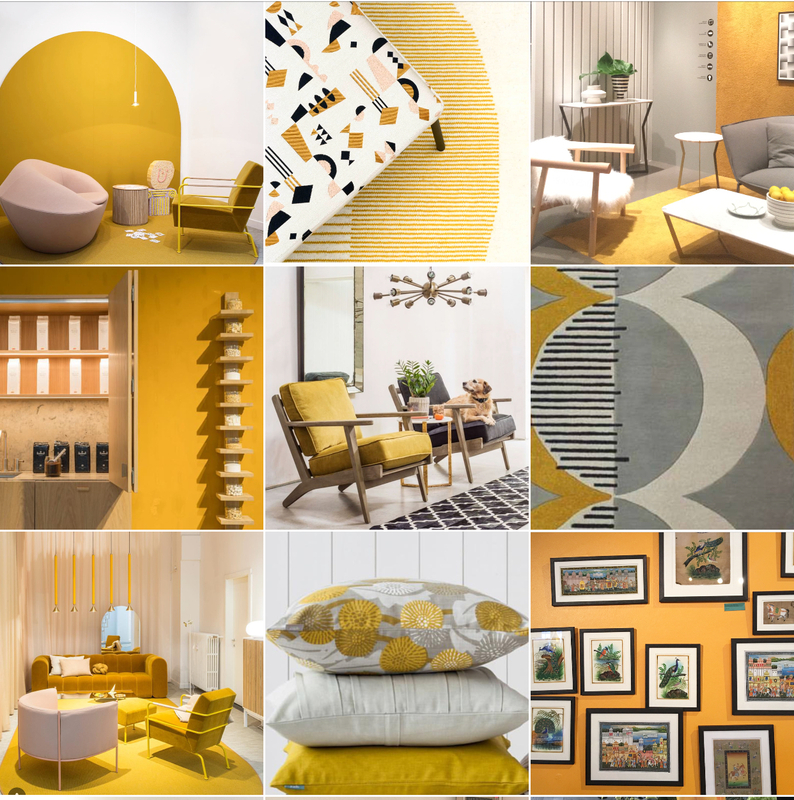 In some places it reared its head in a more subdued saffron (often paired with terracotta) as per the native tones of many a local building (see moodboard below); and in others — primarily the Scandi camp — it was more of your full on Coleman’s! It shouldn’t really work, but it does. It is the decorative equivalent of a cheeky spoonful of spice. Which is interesting because it it adds depth and piquancy to a look which otherwise might end up just a little too subdued. In other words, it reminds us that we all need a little spice in our lives! One of the sets in a show of Swedish design ‘Hemma” in Milan. One step up from this and cue some seriously mad mixing and deliberate mis-matching of pattern and print; combining colours that are jolly and yet still ever so slightly 50s-esque. It’s taking what the mustard yellow of the above means, and then adding in souped up versions of other retro shades — think punchy greens and turquoises to terracotta and teal — to create a really upbeat devil-may-care look. 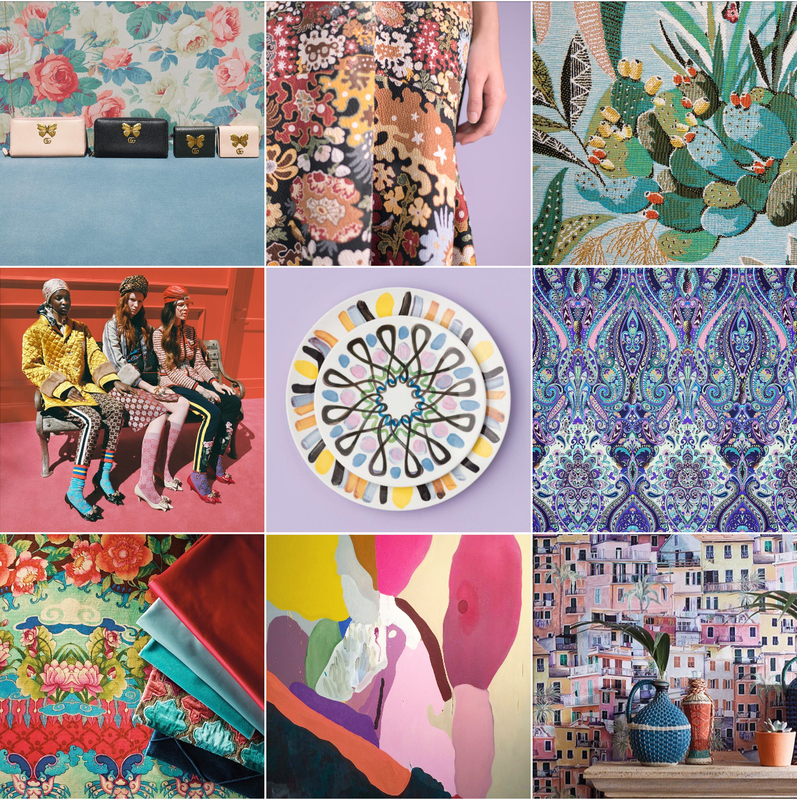 Compared to my Milan 2017 Trend Report, it’s as if the three big themes from last year got rolled up into one glorious package: 50s Colours + Greenery + AmberUmberPeach. And interestingly, it’s a mood that’s extended straight across to fashion too: compare if you will (see below) the joie de vivre of some of the latest fabric house collections (shown below snippets from Pierre Frey, Osborne & Little, Kit Miles, GP&JBaker, Brunschwig&Fils and Hermès Home) and the bonkersness of Harry Style’s harlequin-esque Gucci suits. All referencing the same sense of joyous abandon. 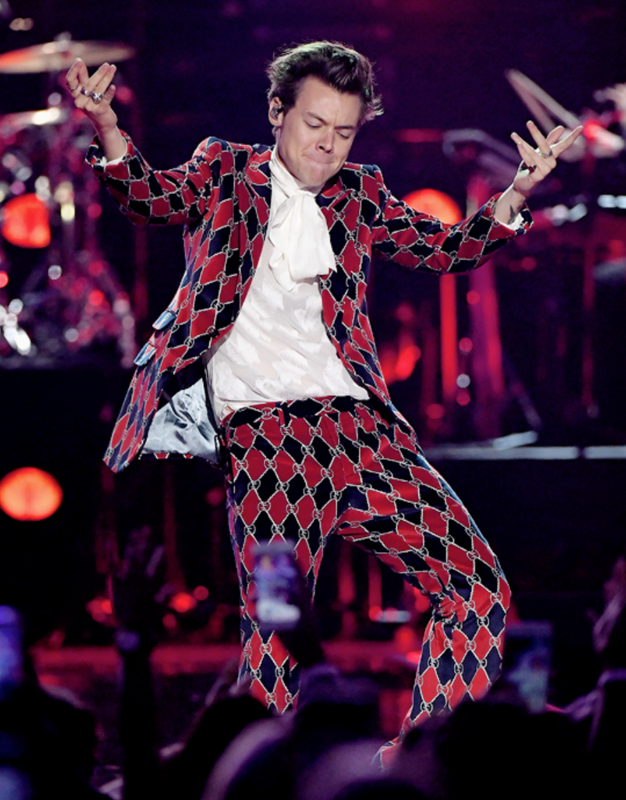 Harry Styles on tour in Gucci. 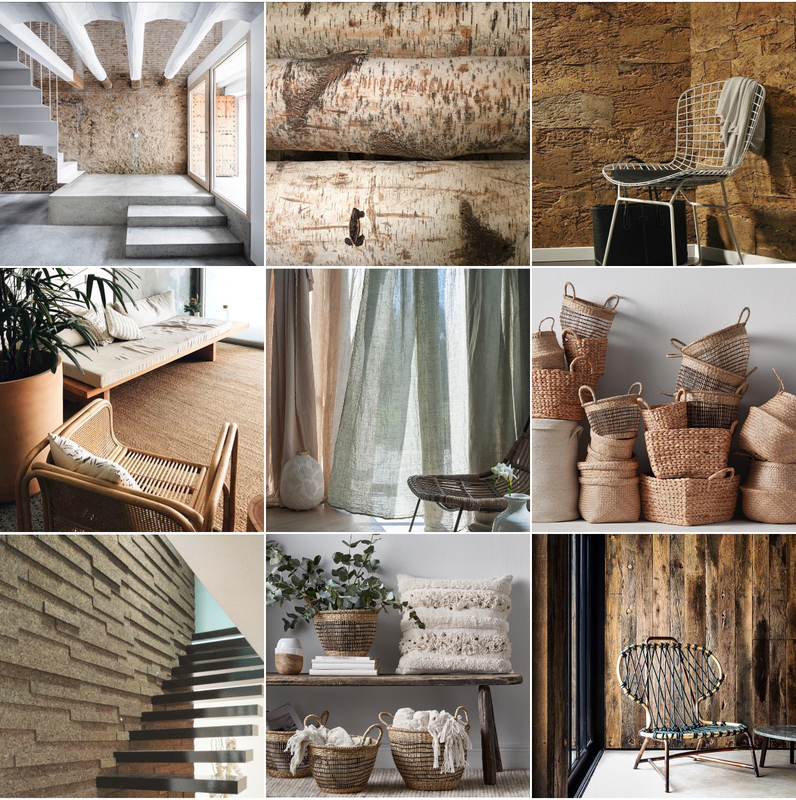 This is something I intimated would be coming in my Spring/Summer 18 Report when I wrote the following… “Materials like rattan, cork, plywood, sisal and hemp will come into their own, but the twist will be that they will be employed as if they were haute materials in the hands of master designers. In other words… we’ll increasingly see them popping up where we least expect it ie within the big Italian power houses; watch this space!” And so it was the case, and far wider flung than just the Italians… wicker sat with luxe leather at Hermès; rattan with terracotta at Yamakawa Furniture; woven leather, cane, cord and rattan were used in combination on indoor seating at both Lema and De Padova, and for outdoors at Minotti. 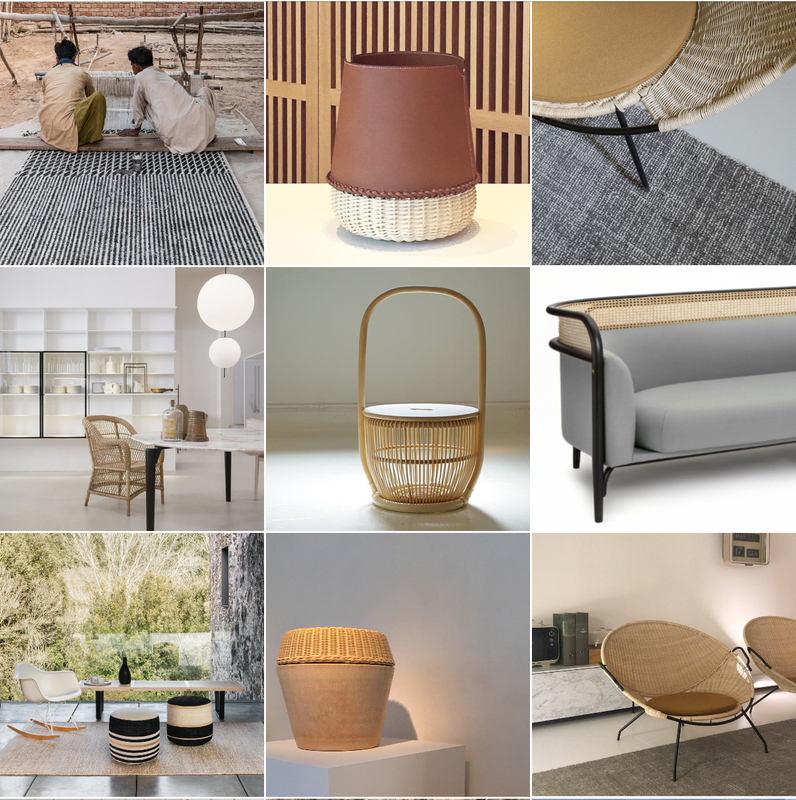 Traditional canework featured large too at Gebruder Thonet on lighting to seating (of special note was the Targa sofa by GamFratesi), and hemp was woven into glorious rugs at Nani Marquina, and into delectable tableware at Society Limonta. This one is the outlier of the pack. More of a feeling picked up than a full-on trend perhaps. In short, enough things seen that my antennae was a’waggling and the little grey cells got a’whirring. But what do I mean by Modern Primitive? I’m referring to a sort of anti-slick robustness to pieces. A rough hewing of stone, and a chunky chopping of timber, leaving things with a distinct sense of the mark of the maker. The pieces I’m referring to sing of their hand-craftedness. Notable proponents would be the Tbilisi-based Interior and Product Design studio, Rooms, founded by Georgia-natives Nata Janberidze and Keti Toloraia; alongside select pieces from the Italian brands Gervasoni and Baxter, both art-directed by the ever-forward-thinking Paola Navone. From afar they may seem unduly rough and a bit unseemly (hence the Primitive) but close up, the details surprise (hence Modern). They are a bit like the sort of paintings that you always hear someone say, “What, my kid could have painted that!” which is to belie the thought processes behind the creation and the sophistication of the application. They appear simple, which resonates with our craving for truth and authenticity, but there’s another level to them which satisfies our need for a story. It is the innocent savant of design. A reduction of ‘design’ to its elements. A jettisoning of the uber polished look that has come to symbolise haute creation, but in a different way to that of Posh Povera. Where that is about maintaining the polish but experimenting with a new set of tools, this is a more forceful rejection. And while a whole room furnished this way would be recalling more Flintstones than finesse, a few key pieces from this genre in a scheme would add some serious clout. One to watch. In the short-term it’s all going to get a bit bright and bonkers, fun and upbeat. In the longer-term look towards a mellowing to centre. 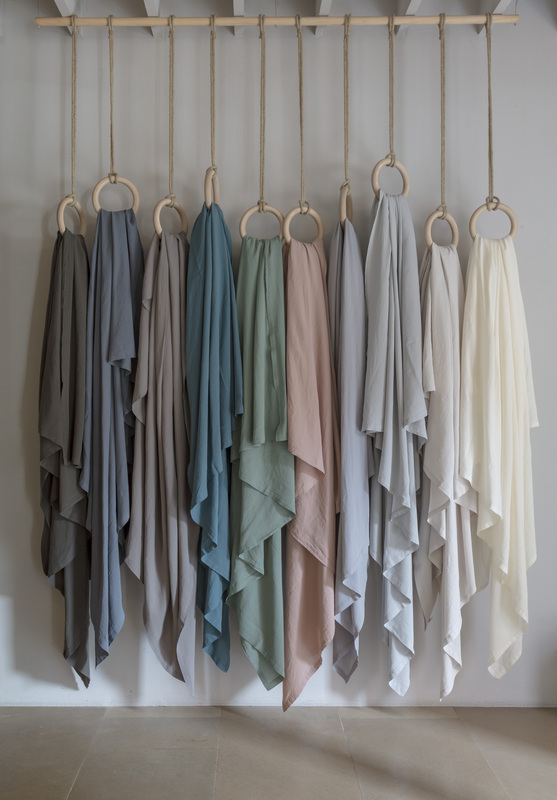 We’ve already warmed up to and fully embraced a sense of gentle colour with the New Neutrals, and this isn’t going to go away; after all, Millennial Pink, the gender-neutral rosy hue, shows absolutely no sign of abating in popularity. 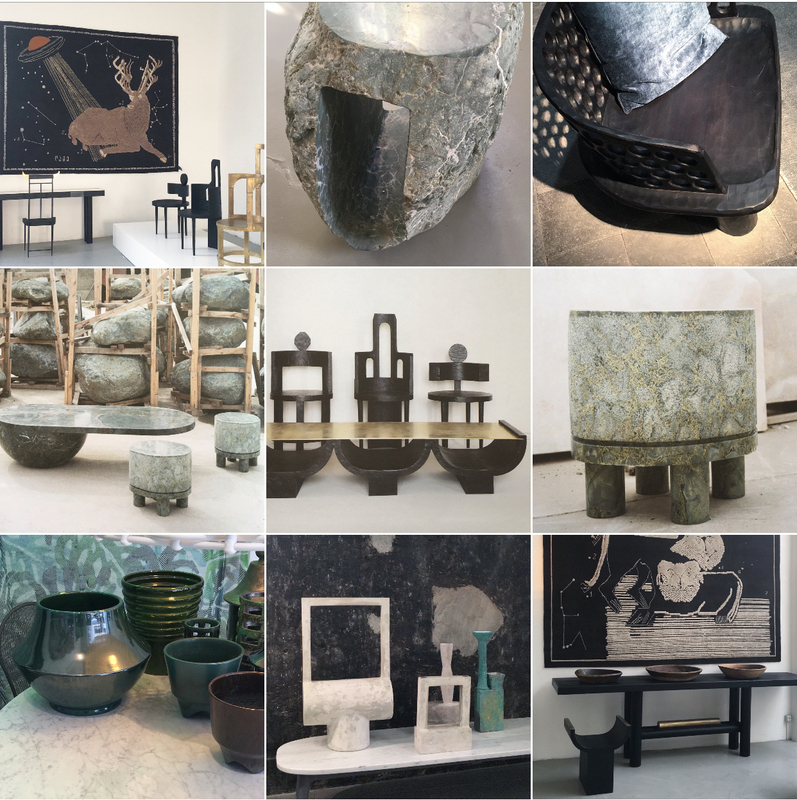 However, we won’t go all the way back to completely pared-back, black, white, grey and Scandi because we have also awoken to the marvellous possibilities of texture. Modern Primitive is the full-on iteration of this, and for the rest of us, the rise of those humble materials with Posh Povera. 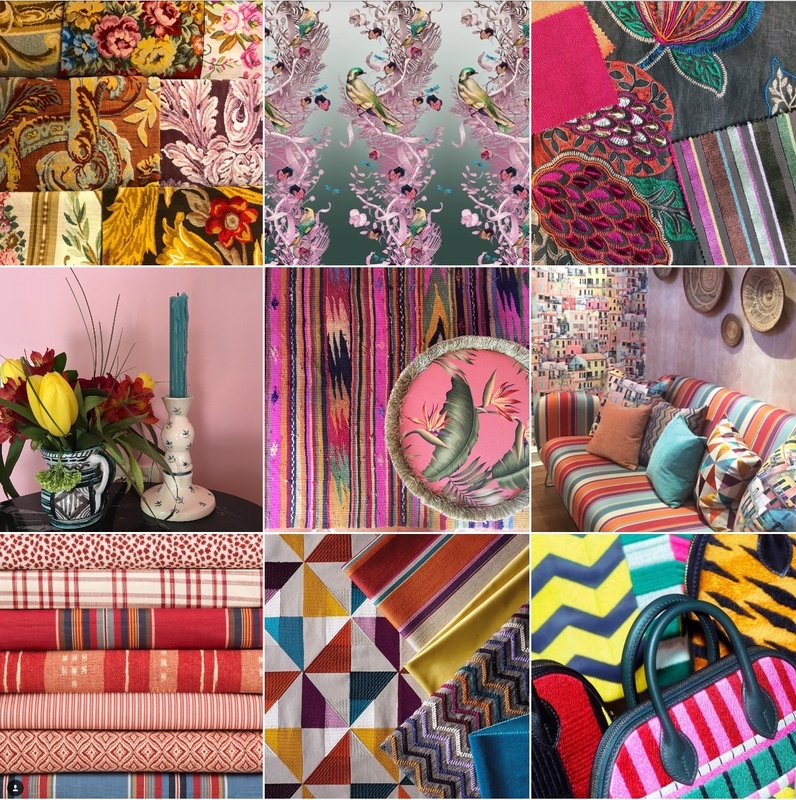 I therefore predict a rather wonderful future on the horizon, homes replete with touch-me textiles, soft, soothing colour and a pop of spice. After all, we can’t forget the impact of mustard! My money’s on a variant of this hue for the forthcoming colour of the year too. Why? Because it seems edgy and a bit out there (so taps into the ‘Happy’ vibe), but in actuality it’s terribly malleable and adaptable (it is the peace broker between the two camps). At first thought you’d think no, I can’t do mustard, then you try it and it adds such joy to a simple scheme, you’ll wonder how you ever did without it.